First thing we need to talk about is what is Twitter? According to Wikipedia Twitter is a free social networking and micro blogging service that allows it’s users to send and read other user’s updates, otherwise known as tweets, which are text-based posts of up to 140 characters in length. Updates are displayed on the user’s profile page and delivered to other users who have signed up to receive them. I like to describe Twitter as sending an instant message or a short bite-sized update. When you send a Twitter message it goes to all of your friends, not just one. On the same hand you wouldn’t send an email to a friend about how you’re having coffee at a corner shop, would you? You might send out a Twitter update. Let’s go ahead and make a tweet right now. A tweet is when you update Twitter. Now, I’m going to go out and just say, “Creating a screen cast about Twitter for Cloudbooksapp.com.” That’s my Twitter and I will click the update button. What just happened was I sent out that message to all 3188 of the people who follow me. Each of those people will now be able to read my tweet and reply to me if they want or send me a direct message. Another thing to remember is that you can use Twitter through the web interface like we’re doing here, or through your smart phone or even through instant messenger. Let’s talk about a few examples of businesses actually using Twitter. News outlets such as MSNBC have started using Twitter to disseminate breaking news or provide informational feeds for sporting events. Whole Foods Markets use Twitter to provide product information to their customers, new or existing customers. Perhaps the most famous story is a company called Comcast who uses Twitter to solve customer service issues. Because of their usage of Twitter they’ve received massive amounts of media attention as well as creating happier customers. 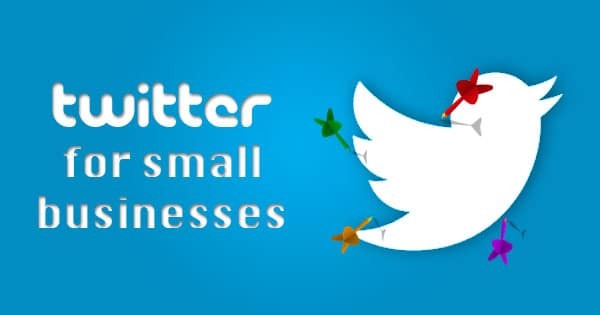 How can Twitter help you in your business. One of the best ways your business can use Twitter effectively is to use it to quickly and easily get your news and product information into the hands of your customers, which means you can begin to create an open dialogue with new and existing customers in a way that was never possible before. For example, if you’re a company like zappos.com who sells shoes online, you could at any time log into your Twitter account and tell all of your 14,000 followers about your latest specials or coupons, or you could tell them about an event you’ll be hosting for them that they may want to attend. Now, that’s what we call instant messaging. You may ask yourself, if you’ve started to tweet and you want to know, “Should I post business or personal information?” The answer is, you could do both or you could do one or the other. It’s about expectations, really. People want to feel like they’re getting the information they signed up for. If they signed up to receive coupons and deals from your company then that’s what you should give them. If they signed up to receive insights from the CEO of your company who talks about his day, that’s what you should send them instead. Perhaps the best way to do it is to just be yourself and try to have a conversation with your customers and followers instead of trying to sell your business. Okay, so let’s get started. The first thing to do is register. Once registered you can log in and begin. Let’s go to the Twitter home page at twitter.com and click get started or join. You can add a user name which will become twitter.com/username. Add a password, email, fill out the capture form and then click I accept to create your account. One you’re registered you can log in. Let’s go to the log in page and log in. I’ll go ahead and put my pre-bill information right in right here and log in. Once you’re finally logged in you can see how many people you’re following or you can see how many people are following you. You can also see how many updates you’ve had over time. If you’re new to Twitter, one of the first things you want to do is find people to follow. If you go to the top of the page and click on the find people tab you’ll see you have some options. You can search for people to invite from other networks, you can invite people by email or you can do a search for people that you think you might know and you want to follow on Twitter. Another great way to find people to follow on Twitter is go to search.twitter.com. Do a search for a keyword. In our case we’ll do a search for small business. This will bring back a result of all the people talking about small business. Perhaps those are people who are interested in the same topic you are, then you could follow them. Once you find a friend you want to follow, here’s how you follow them. In our case, we’re going to follow CloudBooks, which we already followed but we unfollowed so that we could show you this example. Since we’re not following CloudBooks at the moment there’s a big follow button right underneath the profile picture. All we have to do is click on the follow button once logged in. That’s it. Were automatically following CloudBooks, which means that every time Cloudbooks sends out a tweet we will see the update. Now we can see all of the things that are happening with CloudBooks, the name, location of the person, a link to their website and a small bio. We can see how many people they’re following, how many people are following them and how many updates they have. We can also see things like the people that they’re following in graphic form here and we can click view all and see everybody they’re following. Now, one trick is if they’re following a certain amount of people that are interested in what they do probably these are people that maybe you want to follow as well. Let’s go back to the Twitter home page and talk about direct messaging and replies. You can at any time check the replies that people send you direct to you and not to the public. If I click on the reply I can see everyone that said at Monesh and they were just replying personally to me and it’s sent to everyone but at least it let’s me see that that person replied to me. I can also click on direct messages which is kind of like an internal private way to send communications through Twitter. Anyone who’s following me I can click on direct messages and send a direct message to that person at any time. Remember, there’s some best practices to follow when you’re on Twitter and using it as a small business. Don’t sell. Have a conversation like friends at a party or a conference. Be yourself and don’t be annoying or you’ll lose followers. Ask questions and answer other people’s tweets. Send out good information that’s helpful. Remember, have fun. If you follow these guidelines you’ll be on your way to using Twitter to drive more brand awareness for your small business while building a solid network of potential and existing customers who you can communicate with instantly.